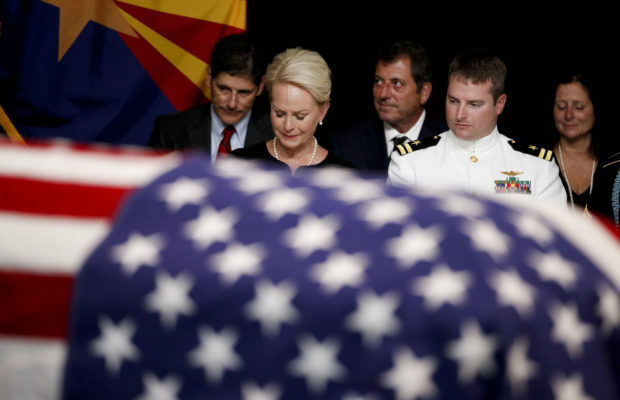 The casket of Republican Arizona Sen. John McCain lay in state at the Arizona capitol Wednesday, as family, friends and citizens paid their respects and said goodbye. 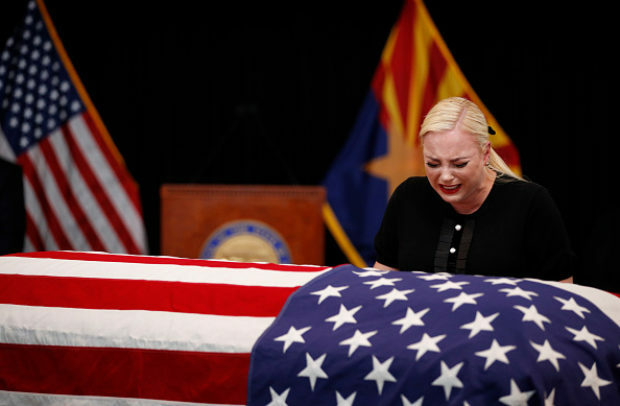 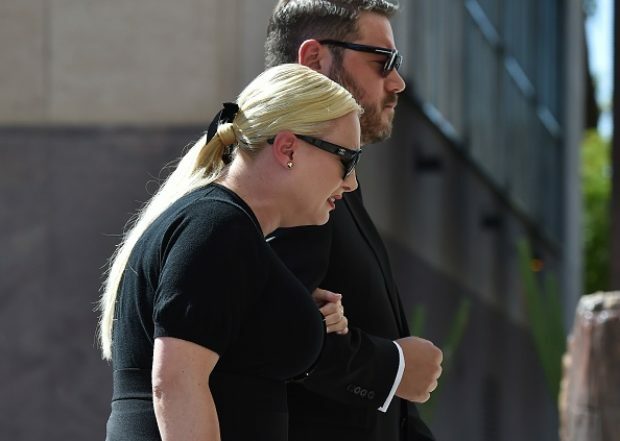 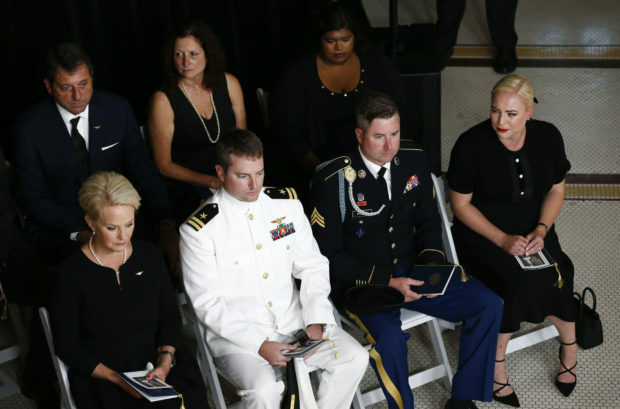 The tearjerking photos from the day demonstrate just how difficult the mourning process has been and will continue to be for the McCain family. 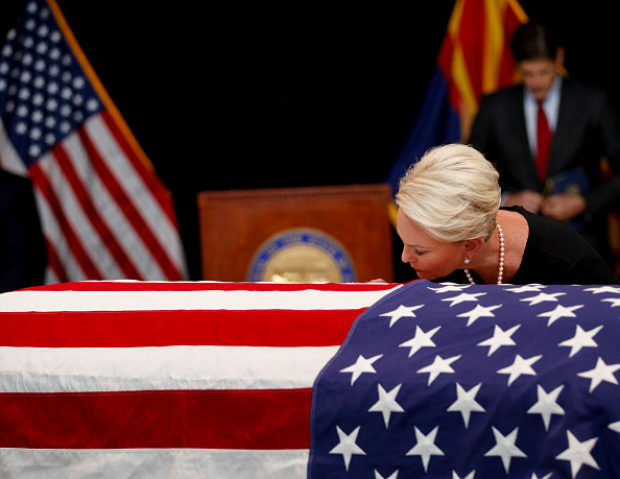 McCain passed away at his Arizona ranch on Saturday at age 81 after a yearlong battle with brain cancer. 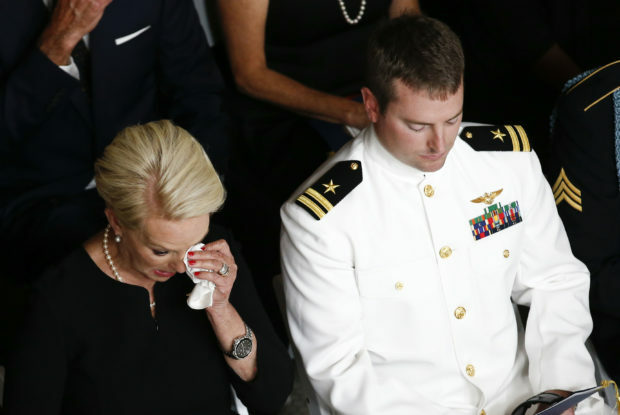 While more than 500 individuals arrived at the ceremony, none were more visibly upset than his wife Cindy, and his children Meghan and Jack. 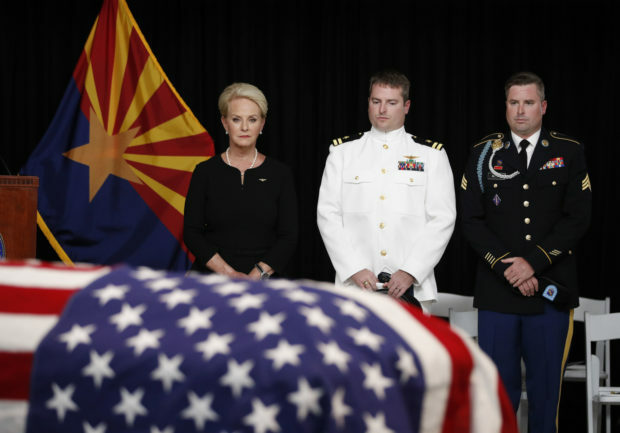 McCain will be buried at the U.S. 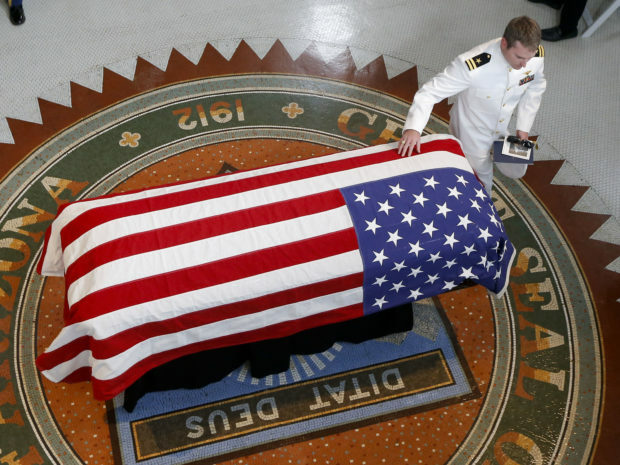 Naval Academy in Annapolis, Maryland. 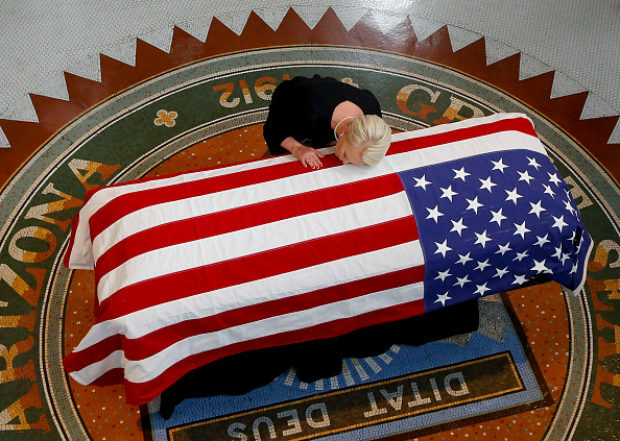 Today would have been his 82nd birthday.